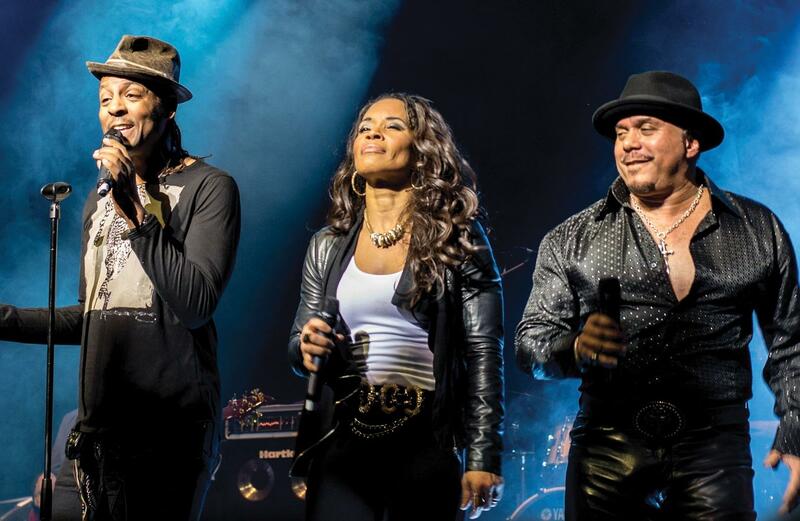 The current lineup of Shalamar: Jeffrey Daniel, Carolyn Griffey and Howard Hewett. This Sunday on Soulsations, legendary R&B crooner Howard Hewett talks about writing the 1980 hit "For the Lover in You" for the group Shalamar. Hewett is known for his soulfully smooth voice and still tours with Shalamar, singing lead vocals. Aside from Hewett, Shalamar's classic lineup included Jody Watley and Jeffrey Daniel. The group produced a total of three gold albums including Big Fun in 1979, Three for Love in 1980 and Friends in 1982. The latter eventutally went platinum. We'll also feature gospel music from John P. Kee, headliner for Gospelfest at this year's Wichita Riverfest on Monday, June 4.